The best way to determine the correct frequency of oil changes is to eliminate the guesswork and turn to regular oil analysis. 1. Use of a less than ideal lubricant for a particular application or operating environment. The equipment itself — How is it designed? What materials is it made of?The design is critical to viscosity selection, because you need to ensure that the lubricant will flow to all lubrication points in a timely manner and also provide enough film strength to keep moving parts separated. Materials matter because some lubricants or additives may have compatibility issues with certain metals or other materials used in the equipment’s construction. Operating conditions — What types of loads, speeds and operating temperatures does your equipment experience?Sometimes, the real-world operating demands of your equipment may fall outside of the range upon which the OEM’s recommendations are based. If so, you most likely will require a different fluid that is designed for your system’s specific demands. Operating environment — Is the equipment used in a humid/moist or dry environment? Is the location dusty or dirty?A fluid’s resistance to contaminants such as water and dust/dirt will affect its performance. Some base stocks and additives work better in certain environments than others. Proper lubrication does not end with fluid selection. Even if you choose what might be considered the perfect lubricant for an application, plenty can go wrong if the fluid is not properly stored, handled or applied. Keep your inventory fresh. Although most lubricants can be stored for a long time without issue, they generally will not remain in their original condition forever. To help ensure that your lubricant inventory is used in a timely manner, rotate inventory on a first-in, first-out basis. Minimize environmental effects. Extreme or fluctuating temperatures, humidity or moisture, and dust or dirt can lead to degradation of stored lubricants, shortening fluid life. Indoor storage in a clean, dry location with a stable, moderate temperature is best. If outdoor storage cannot be avoided, shelter lubricants as much as possible from direct sunlight, rain, ground moisture, dirt and other environmental conditions that could be problematic. Clearly label lubricants, dispensing equipment and lubrication points. Many times, lubrication problems occur when the wrong fluid is mistakenly applied to a component, or when the right lubricant is inadvertently dispensed with — and, thus, contaminated by — equipment normally used for a different lubricant. A clear, easy-to-understand labeling system helps ensure that the correct fluid is always dispensed with the correct equipment and applied to the correct lubrication point. Dispense lubricants with care. Before dispensing, filter the stored lubricant, and clean the dispensing equipment and the sealed areas of lubricant containers to help reduce the risk of contamination. For a lubrication program to be successful, you need to know when to change the oil. Waiting too long could result in significant equipment damage or failure, resulting in lost productivity and potentially steep costs for repairs/replacement of equipment. The variability of a lubricant’s condition and service life due to environmental conditions make it difficult to accurately estimate the right time for an oil change. For example, a mere 18°F (10°C) increase in temperature above 180°F (82°C) can reduce a lubricant’s service life by half. Also, water contamination of just 1,000 ppm in a lubricant can reduce bearing life by up to 75 percent. 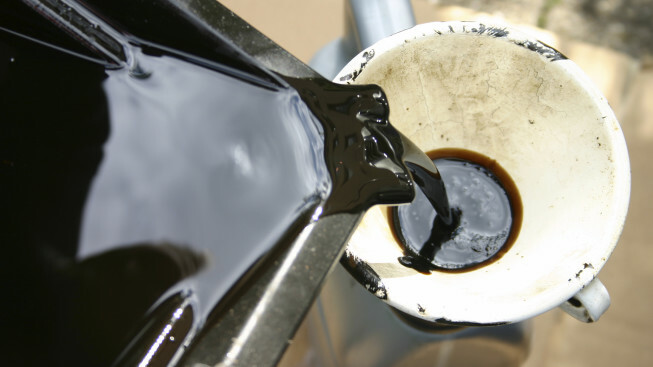 Oil analysis can monitor the useful life of a lubricant, helping to ensure continuous protection for equipment. It also may catch potential concerns early so that they may be corrected before they have the chance to escalate into major, costly problems. Run the equipment and make sure that the lubricant is well-mixed and at normal operating temperature before collecting a sample. Carefully select the sampling point, preferably choosing one that is downstream of components but before the fluid passes through any filters. Only use clean bottles and equipment to collect samples. If cleaning these items with anything — even water — flush them thoroughly with the oil prior to collecting the sample. Always provide complete and accurate information on the sample submission form. This helps ensure that the lab properly interprets test data and provides appropriate recommendations. At Isel, you will find an ideal lubricant for virtually any application and operating environment. Our knowledgeable experts can help you identify the appropriate lubricant(s) for your specific needs. In addition to fluids with unsurpassed quality, we also offer fast order turnaround to provide the convenience of just-in-time inventory, so you can more easily meet the needs of your customers while avoiding the expense and worry of having products languishing in storage. To learn more about our industry-leading products and our full array of convenient services, contact us today. 1Source: Friction and Wear of Materials, Second Edition, by MIT Professor Emeritus Earnest Rabinowicz, published by John Wiley & Sons, New York, 1995.